Content Writing | Travel Writing | News & Journalism | Copywriting. Fans of endurance and obstacle course races like Tough Mudder and Spartan Race should buckle up for the upcoming Spartan: Ultimate Team Challenge which kicks off on NBC on June 13. 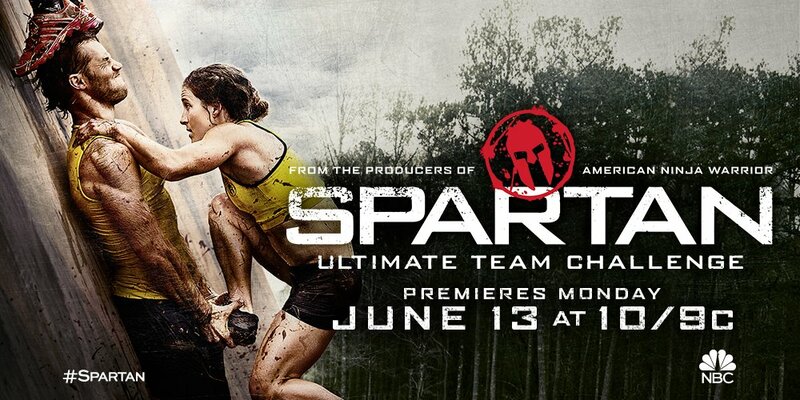 This thrilling competition comes from the producers of American Ninja Warrior and is inspired by the popular Spartan Race. The show takes team challenges to the next level by putting participants through a grueling obstacle course race that tests not only their physical endurance but determination and mental tenacity. Thirty-six teams tackle custom designed courses and the only way to win is through cohesive teamwork. What are they competing for? $250 000! There's plenty of mud, frigid waters, barbed wire, and the dreaded slip wall - a 25-foot slanted wall covered in slippery mud making it very difficult to scale. One participant chuckles as he says, "I've actually been having nightmares about that slip wall." Each episode sees six teams of five consisting of two women, two men, and one Spartan Elite racer (experienced Spartan Race athletes). It's a diverse group that have come together to compete. Parents, brothers, co-workers, teachers, and friends all battle it out in one of the most demanding obstacle course races created. I had the chance to chat to one of the show's contestants about his experience. Brendan Rabadi, 31, is a realtor in the Saratoga, NY area. With a love for fitness, he is a regular Crossfitter in Round Lake. He teamed up with Melissa Manzer (co-owner of CrossFit Round Lake), Linda Larsen and Jared Manzer (also gym members). All four were keen to test their physical fitness in unknown territory and didn't hesitate to enter Spartan: Ultimate Team Challenge. Rabadi says they only found out they were accepted six weeks before filming was due to start and had no clue what the course entailed until they arrived in Atlanta to start shooting. With only six weeks to prepare, they immediately adapted their normal CrossFit routine to include more running, object-carrying, spear-throwing, and every other possible scenario they could think of. One thing they were not prepared for was the mental challenge. "The course was humbling to say the least," says Rabadi. "It's mentally difficult to struggle with things that you'd normally consider your strengths. It's even more difficult in a team environment because you know you're all relying on each other to perform." According to Obstacle Race World: The State of the Mud Run Business, 4.9 million people worldwide participated in obstacle races in 2015, and this number is expected to grow to 5.3 million in 2016. Obstacle races can be painful and torturous. They're the races from hell. So why are they so appealing? Why do millions of people put themselves through the punishment of these "sufferfests". Is it the same motivation that pushes people to climb Mount Everest, jump out of planes and engage in other extreme sports? Adrenalin junkies who are addicted to the rush that comes with pushing themselves to the limit, facing fears, risking life and limb, and ultimately basking in the giddy ecstasy that achieving these great feats bring. It's a heady experience for some. For most of us, rollercoaster rides and bungee jumping will suffice. But for a certain slice of the population they need more - more danger, more thrill, more fear, more satisfaction. Rabadi explains why he thinks participants and viewers find these competitions enthralling. "Obstacle course racing has really exploded over the last few years among a wide array of demographics. People have slowly been figuring out that rolling in the mud, throwing spears, and working together with others to accomplish a difficult goal is fun for anyone, not just elite athletes. Add a team element and televise it and I think the show should resonate with a lot of people." For those watching, while we may never understand why these crazy people willingly choose to punish their bodies, we are nevertheless hooked by a twisted curiosity. So tune in to NBC on Monday, June 13, 2016 at 10 PM for some gripping viewing. Hosts include former linebacker Dhani Jones and LA Galaxy star Kyle Martino. Course reporters include MJ Acosta, NBC news anchor, and Evan Dollard, TV host and Ninja contestant. The show will shift to its regular 9 pm slot on Thursday, June 23.